Websites need to be regularly updated with new compatible content. CMS allows having unique, fresh content on websites, so updating fresh content on a website regularly increases the chances of ranking high on SERPs, which in turn drives more traffic to the site. 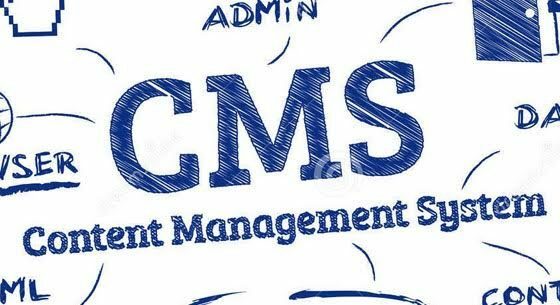 Content Management System helps in creating new Web pages, editing content, add images, and do much more and cms links are automatically updated when new pages are published, thus lowering the chances of dead links. CMS stores all the data in the database, hence making changes are easier. Sitting in any part of the globe, information can be edited on your site provided you should have internet connection and a Web browser. A CMS website helps in maintaining thematic consistency, layouts and functionality across the website. A website CMS provides site interactive, which helps in maintaining a friendly relationship with the customer. CMS Support Community to assist and guide In case if any issues or questions to be solved. For any kind of assistance to upgrade or edit your site, you can approach the professional Web developers omkarsoft in Bangalore. We can provide you a best service at reasonable cost.